Startups and Sockpuppets: Founders are crazily busy and may gloss over certain risks, especially when they involve issues with which they are not familiar. The internet is a vital tool for new ventures, but now involves a great deal of shady activity. Startups and sockpuppets are not a good mix, however. But what exactly are sockpuppets, apart from Kermit, the Frog? On the internet, a sockpuppet is an online identity used for purposes of deception. A digital sockpuppet hides the actual identity of the person running a fake account, just like an actual sockpuppet hides the hand manipulating it. The digital sockpuppet master can control many different fake identities. I made the physical sockpuppet on the right—in just two minutes. Digital sockpuppets can be created with malicious intent in not many more minutes. Also, they can be replicated fast by ‘web brigades’, or paid commenters working through individual social media accounts. Startups and sockpuppets are not a good mix. Sockpuppets are accused of election interference in the USA, UK, France and many other long-established democracies. They are blamed for huge disinformation campaigns by Russian sockpuppets, prior to the annexation of the Crimea. 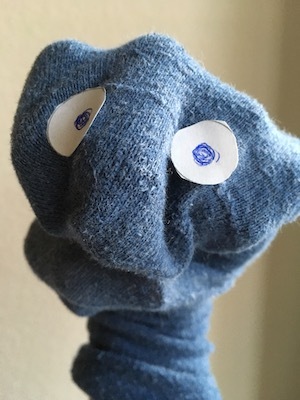 Since they are also used to enhance or defame the reputations of businesses and other public persons, startups should beware sockpuppets. LikeWar: The Weaponization of Social Media, by Peter Singer and Emerson Brooking, shows how the internet is changing war and politics. It is a very frightening book, focused largely on the political and government front. Though not much covered in the book the implications for business and startups in particular, are profound. Startups rely on the internet, but can they rely on the content? There is so much data that startups can use and analyze to their benefit. However, once startups do have the capacity to analyze the data, questions that arise concern the origin of the data and reliability. Probably the greatest risk to startups comes from reviews, whether on your own site, or outside sites like Yelp, or Amazon, or specialist sites like Trip Advisor, if you are in the travel business. Your own site may become ‘infected’, if the webmaster is not watchful for sockpuppet-written negative, or indeed, positive reviews. Once your business develops an online (or offline) reputation for good or ill, changing it it an uphill battle. ‘Shares’ and ‘likes’ can multiply the impact of both good and bad reviews. In LikeWar, the authors make the observation that, “Social media is extraordinarily powerful, but also easily accessible and pliable.” It’s the pliability that carries the risk. The main counter-measure to keep business sockpuppets at bay, is the founder’s vigilance and ensuring that his own staff or contractors responsible for the venture’s internet activity are wide awake to the potential threats. A useful tool for them is to use the Startup Data Reliability Grid. There is an underlying skill that all founders should develop is to become first-class noticers. I can recall the earliest days of my own business and being fixated on building revenue. It was not that I had on blinders to everything else, but I knew that I had to be single minded about positive cash flow. The biggest implication of startups and sockpuppets for business founders, is to exhibit and instill the highest standards of integrity and honesty themselves. It is as though the darker aspects of the internet taunt business founders to demonstrate their commitment to the highest standards and ethical behavior. I suggest that you read one or two key texts on ethics issues confronting the startup. A good place to start is the Markkula Center for Applied Ethics article called, A Good Start: Ethics for Entrepreneurs. It describes eleven key steps for founders to take. A concern for ethical behavior does not require a diversion from survival— the main business in hand. Founders of new ventures today take action. They do not wait for the rules to be changed by government, they are themselves rewriting the rules of business. Startups and sockpuppets are just one example of unethical behavior in public life. Entrepreneurs have a moral responsibility for leadership in and business and social environment—and they are taking it. In the LikeWar book, the very last words are “You are now what you share. And through what you choose, you share who you really are.” Although the two authors are both defense experts and their message is mainly for politicians and governments, entrepreneurs will ignore the statement at their peril. * sometimes referred to as ‘trolls,’ (hostile behavior by Internet users to make others miserable).